The University has 29 academic departments and over 50 research centres and institutes, in three Faculties: Arts, Science, Engineering and Medicine and Social Sciences. The new Medical School took its first students on an innovative 4-year accelerated postgraduate programme in September 2000. In summer 2004 the first 64 students graduated from the school. In October 2010 the combined intake of the Warwick Medical School was 403, making it one of the largest in the country. Since 2007 the University has been empowered to award its own medical degrees. In 2007, under the Vice Chancellorship of Professor Sir Nigel Thrift, the University launched its new Strategy, Vision 2015. Incorporating a number of ideas generated by the University community itself, the Strategy laid out a number of ambitious goals in research, teaching and learning, internationalisation, UK stakeholders and income generation. To date, progress has been made against a number of strategic objectives, including the establishment of a Warwick Prize for Writing, IGGY, increase in the value of research awards and the number of highly cited academics at the University, the publication of the second Warwick Commission on International Financial Reform and the development of collaborations and partnerships with overseas universities including Boston University, UCLA, Monash and Jawaharlal Nehru University. Much progress has been made and the University has sought to reaffirm its commitment to its core ambitions while refocusing on how they will be achieved in the light of significant changes in the wider financial and political context. An updated Strategy was therefore published in September 2014. From its beginnings, the University has sought to be excellent in both teaching and research. It has now secured its place as one of the UK's leading research universities, confirmed by the results of the government's Research Assessment Exercises of 1986, 1989, 1992, 1996, 2001 and 2008. Warwick has always taken the view that good research informs and strengthens the quality of education that it is able to offer its students. The original conception for the academic structure of the University was not to impose overall academic prescription but to make early appointments to the first professorships, selecting candidates with fresh and constructive ideas on how studies in their areas should be organised and developed. The planning of courses developed organically with a marked emphasis on inter-disciplinary cooperation. Business Studies and Engineering - both looking firmly towards the manufacturing heartlands of the West Midlands - were early developments. 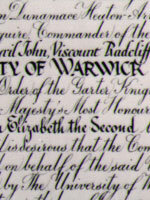 Warwick was a pioneer in seeking industrial-academic links, a key component of its strategy today just as it was in the original vision of the first Vice-Chancellor, Mr J B Butterworth (Lord Butterworth) and the Chairman of the Promotion Committee for the University, Lord Rootes. The University has become increasingly popular with students (there are now nine applications for every available place) and in 2010 81% of the undergraduates admitted to Warwick has an A level score on entry of AAB or above. But it has been a mark of Warwick's strategy to encourage and facilitate admission from those less well-advantaged and from poorer backgrounds. From its beginnings, it has welcomed applications from mature students (who often have no formal qualifications but can show the potential necessary for higher education). 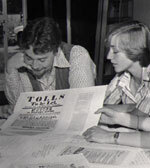 In 1986, Warwick launched what has been a highly successful part-time degrees programme. In 1991 the University initiated an innovative shared 2+2 degree programme with a group of local FE Colleges which was specifically aimed at individuals with few if any formal qualifications and who were often in situations of considerable social and economic disadvantage. Warwick has involved itself in the new Foundation Degrees that were piloted in 2001. Warwick marked its strategy with a wish to be enterprising and outward-looking from its foundation. It sought to match academic excellence with relevance, a policy which was not always popular in the late 1960s and early 1970s but which has become one of its hallmarks and recently led former Prime Minister Blair to say that "Warwick is a beacon among British Universities for its dynamism, quality and entrepreneurial zeal" and President Clinton to give his last major policy address on the campus in December 2000. When government decided to fund universities on a more differential basis in the 1980s, which led to sharp downward changes in centrally-provided grants, the University seized the opportunity to look at ways in which it could augment public monies with income generated through its own activities. Many of these ventures are located in departments - thus exemplifying the point about combining academic excellence with enterprise - but they also include three thriving post-experience residential training centres (Arden House [founded in 1982], Radcliffe House  and Scarman House ), retail outlets and an award-winning vacation conference business. The money generated in these ways has been a significant factor in the development of the University both academically and physically. 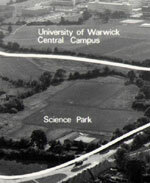 In 1984, the University of Warwick Science Park was opened on a site adjacent to the University, a joint venture between the University and the local authorities of Coventry City, Warwickshire and West Midlands Enterprise. This has developed to become one of the UK's most successful Science Parks with satellites in Coventry and Warwick and managed space in Solihull. The Park is now home to 85 high technology companies and manages 424,000 square feet of space with a turnover of £4.4m. Find out more on our Business pages. The University has sought through its activities to play a significant role in the economic and social life of its region. It has considerable linkages with local business and enterprise through the Warwick Manufacturing Group (WMG) and Warwick Business School, works closely with local schools and FE Colleges and has attracted significant new investment to the Coventry area. The Warwick Arts Centre, the first phase of which was built in 1974 and was further extended twice in the 1980s, is home to a concert hall, two theatres, a film theatre, a music centre, the Mead Art Gallery, conference facilities, restaurants and a bookshop. It attracts 280,000 visitors every year to over 2000 events and has a significant national and international reputation. It was originally built from the considerable generosity of The Martin Trust (Helen Martin was a local woman who became the University's first significant benefactor). The Trust which continued after her death continues to support the Arts Centre, the resident string quartet (the Coull Quartet) and has contributed significantly to other capital and educational projects over the years at Warwick to a value of £19m at today's prices. Through its activities, the University has sought to play a significant role in the economic and social life of its region. It has considerable linkages with local business and enterprise through the Warwick Manufacturing Group and Business School, works closely with local schools and FE Colleges through the Institute of Education, widening participation initiatives and Warwick Volunteeers, and has helped attract significant new investment to the Coventry area. In 2006, Warwick became involved with the Birmingham Science City initiative, which aims to pull together world class science and technology within the city and its region. The first developments for the initiative included a Hydrogen Energy project between Warwick and Birmingham University, and the Science TV project which created a science communications medium combining the effectiveness of TV with the interactivity of a website. Further developments include projects in Energy Futures, Advanced Materials and Translational Medicine. In July 2005 the University played host to the International Children’s Games, providing accommodation, entertainment and sports facilities to over 1300 competitors from 50 cities around the world. The International Gateway for Gifted Youth (IGGY) was launched in 2007 - targeted at the top 5% of 11-19 year olds from around the world. The University's first Chancellor was Lord Radcliffe, who continued in office until his death in April 1977. He was succeeded by Lord Scarman, who retired from office in 1989. Warwick's third Chancellor was Sir Shridath Ramphal, who presided over the University from 1989 - 2002. Sir Nicholas Scheele, was appointed as Warwick's fourth Chancellor in 2002 continuing in office until 2008. The University's previous Chancellor, Sir Richard Lambert, took up the position in August 2008. Sir Richard is the former Director-General of the CBI. In January 2017, Sir Richard Lambert was succeeded by our present Chancellor, Baroness Ashton. The University's founding Vice-Chancellor was Mr J.B. Butterworth (Lord Butterworth), who guided the University through its formative years and provided much of the vision for the University's future growth and success. His achievement was to establish Warwick firmly on the national stage, to set a basic strategy and culture for the University which still obtains today and to oversee the building of a university on what was a greenfield site. He was succeeded in September 1985 by Dr C.L. Brundin. As Vice-Chancellor from 1985 until 1992, Dr. Brundin presided over a period of expansion and success: student numbers doubled, postgraduates increased by >250% and Warwick established itself firmly in the top tier of UK research universities. Dr Brundin was succeeded in 1993 by Professor Sir Brian Follett, formerly Biological Secretary and Vice-President of the Royal Society. In 1994, Sir Brian launched the Warwick Research Fellowships, a £10m scheme, entirely financed by the University, which brought to Warwick a cohort of some of the brightest young researchers in the UK and abroad. His successful academic leadership resulted in the excellent results for the University in the Research Assessment Exercises of 1996 and 2001.Sir Brian also presided over an ambitious building programme that resulted in >£100m of new capital projects during his leadership. Sir Brian retired in 2001 and was succeeded by Professor David VandeLinde, formerly Dean of the Whiting School of Engineering at Johns Hopkins University and Vice-Chancellor at the University of Bath. His period as Vice-Chancellor was marked by an emphasis on building links and partnerships with the local community, an enhanced international strategy and welcoming of HRI researchers to the University as Warwick HRI. The Vice-Chancellor played a key role in assisting government to reduce the amount of bureaucracy faced by British universities. Professor VandeLinde was succeeded in 2006 by Professor Sir Nigel Thrift. Educated at Aberystwyth where he graduated with a BA Hons in Geography in 1971 Professor Thrift went on to gain his PhD in Geography from the University of Bristol in 1979 and his DSc from Bristol in 1992 as well as being granted an MA (Oxon) in January 2004. He is an Emeritus Professor of the University of Bristol and a Visiting Professor at the University of Oxford. He joined Warwick from the University of Oxford where he was made Head of the Division of Life and Environmental Sciences in 2003 before becoming Pro-Vice-Chancellor for Research in 2005. In February 2016, Professor Thrift was succeeded by Professor Stuart Croft. 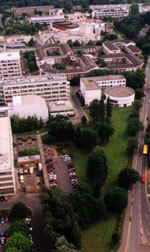 The main campus of the University is situated on land granted by Coventry City Council and Warwickshire County Council in the early 1960s. 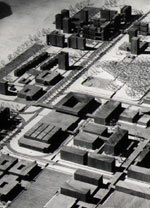 The first buildings were completed in 1965 (and now house Biological Sciences); by 1970 the Library, Science and Arts Buildings and Rootes Residences had been built on central campus. 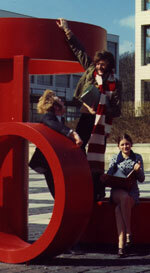 During the 1970s, further academic and residential accommodation was built on campus, including the Social Sciences building in 1977, Senate House and the Arts Centre (1974) and the Students' Union Building (1975). In 1979, the former Coventry College of Education merged with the University to form what is now the Institute of Education on the Westwood site. 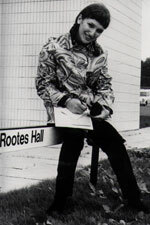 The 1980s saw the further expansion of the Arts Centre, the construction of the Jack Martin Halls of Residence and of the purpose built post experience training centre, Radcliffe House (1986) referred to above. In 1989, in partnership with Rover and Rolls Royce plc, the University extended the new Advanced Technology Centre to provide extensive new research facilities. 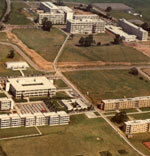 During the 1990s, the built campus continued to develop. Between 1993 and 2000 over £100m of new buildings were erected, notably the construction of the Arthur Vick, Claycroft and Lakeside Residences, the International Manufacturing Centre (1994), the Ramphal Building (1996), and the new Medical School Building and associated Biomedical Research facilities generously funded by the Wolfson Trust and through a successful appeal (2001). Other notable developments have been a joint Students Union and Retail building (1998), Sports Pavilion (1998), the first two phases of a new building for the Warwick Business School (1999 and 2001) and a new building for Computer Science (2000). Since 2000 plans for further building have amounted to a programme of c.£50m. A new Mathematics and Statistics building was opened in 2004 and a major investment in developing the Sports Centre has provided high-class sports facilities, amongst the best of any British university. Warwick’s Institute of Advanced Studies launched in 2007 and the Institute of Advanced Teaching and Learning was launched in 2010. The Warwick Digital Laboratory was opened by Prime Minister Gordon Brown in July 2008. In 2009, the Arts Centre's Butterworth Hall underwent a £8million development, and we made extensive improvements to the Students' Union, building extra retail space, cafes, bars and performance areas. Two new student residences, Bluebell and Sherbourne, were opened in 2011 and 2012 respectively, and new science academic buildings are currently under development along with a new extension to Warwick Business School.